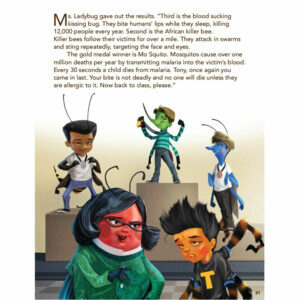 This is a story about bullying. 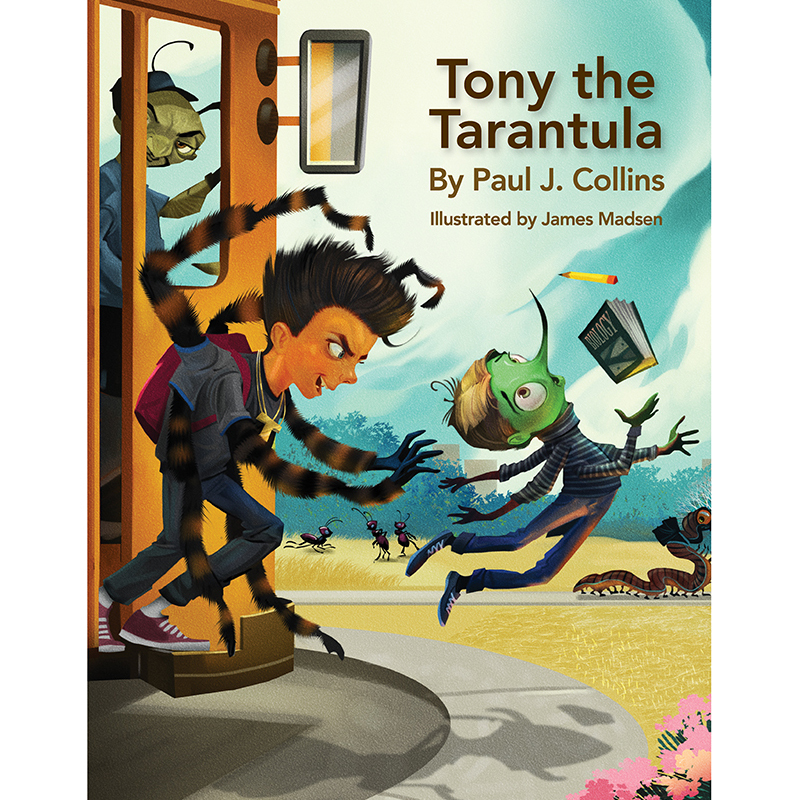 Tony is a tough, scary tarantula, and is the school bully. 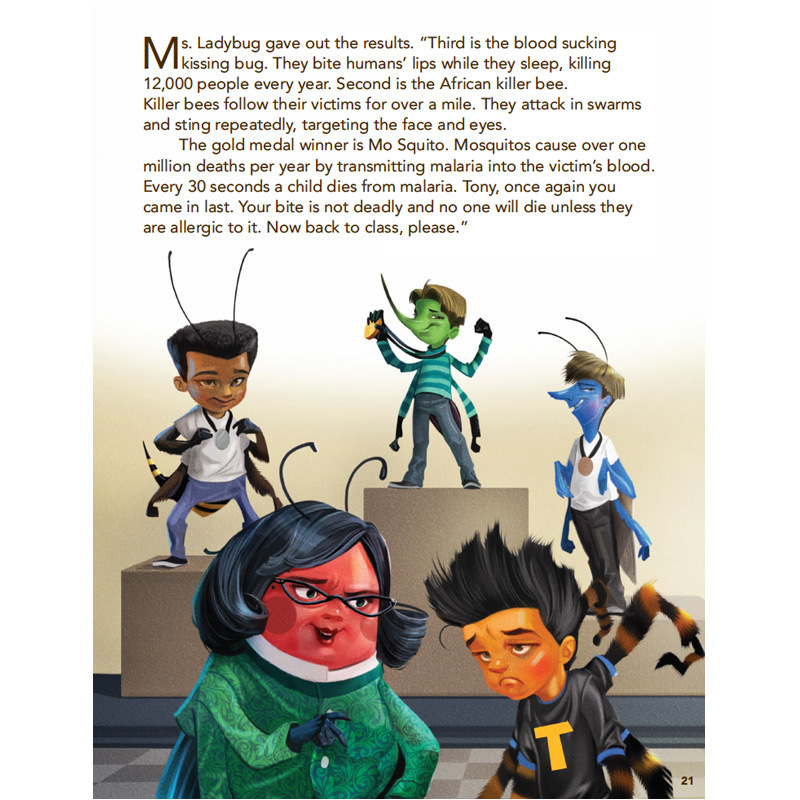 His teacher puts him through several challenges with his classmates to help him understand it is not cool to bully other kids. 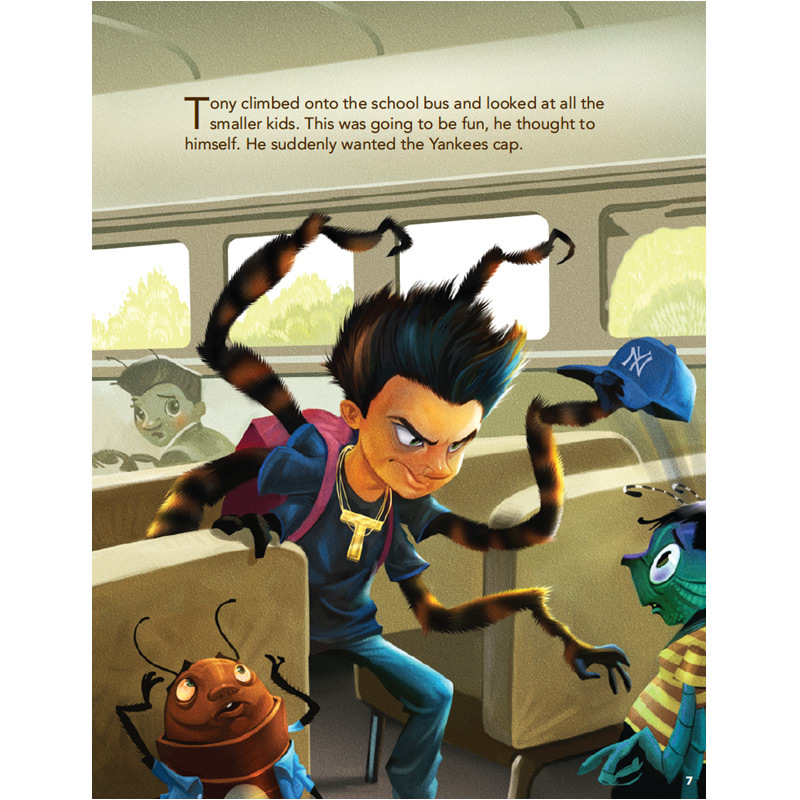 Tony the tarantula goes to school with an attitude. He is mean, tough and scary. He teases and bullies all the other kids. 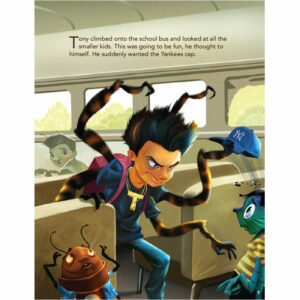 His teacher, Ms. Ladybug, realizes she has to deal with Tony or he will be a disruption in her classroom. She puts Tony through three competitions which help Tony to understand that he is not the fastest, strongest or deadliest insect in the class. He comes to appreciate the talents of his classmates. 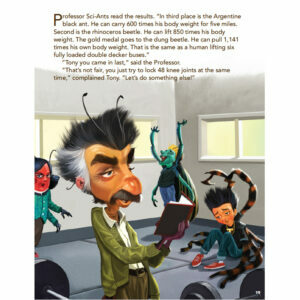 By the end of this fun and humorous book, Tony no longer thinks he is mean, tough, or scary anymore. Tony becomes a better classmate. Bullying is a problem we all need to address. Let’s create a positive and proactive mechanism to deal with it at every school. Let’s set up a five-person, rotating committee at each school to address bullying: principal, two parents and two teachers. Let’s give kids an anonymous mailbox and phone number to call into so they can feel safe and share their concerns. 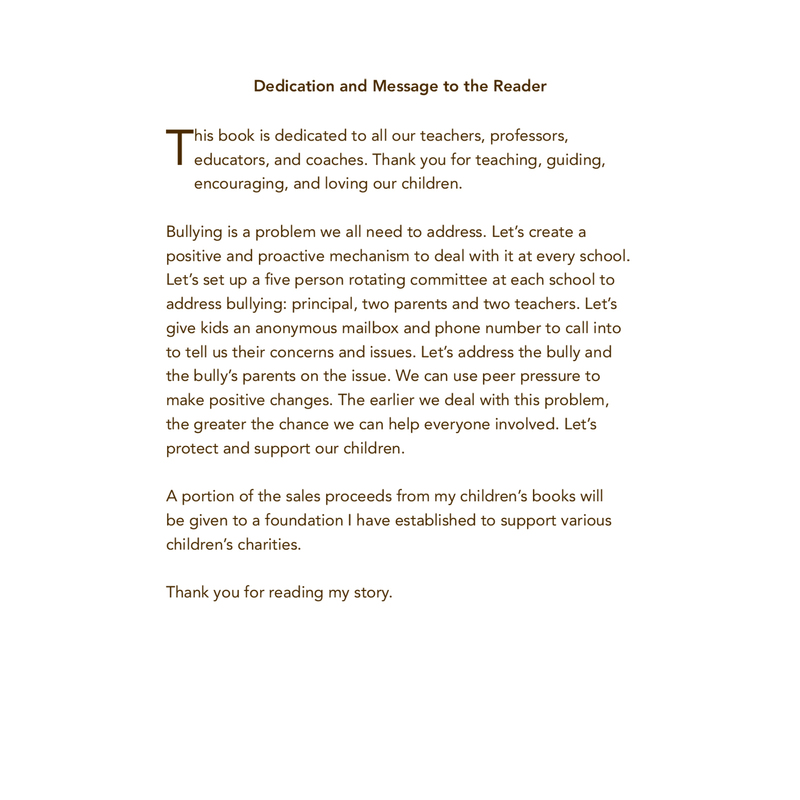 Let’s address the bully and the bully’s parents on the issue. We can use peer pressure to make positive changes. The earlier we deal with this problem, the greater the chance we can help everyone involved. Let’s protect and support our children.